Almost every year there would be a disaster. Which is a sad news to everyone. 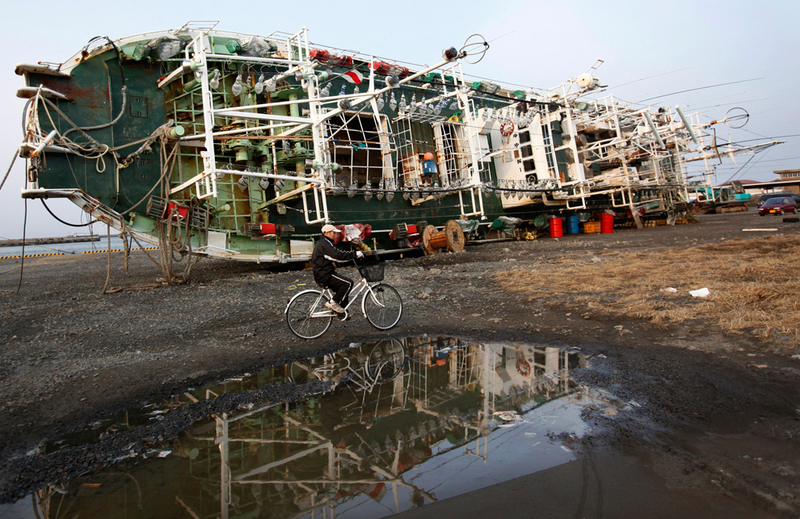 In early year of 2011, on 11th of March at 2:46 p.m. local time, (about 150 km off the coast of the island of Honshu) a disaster happened in Japan. 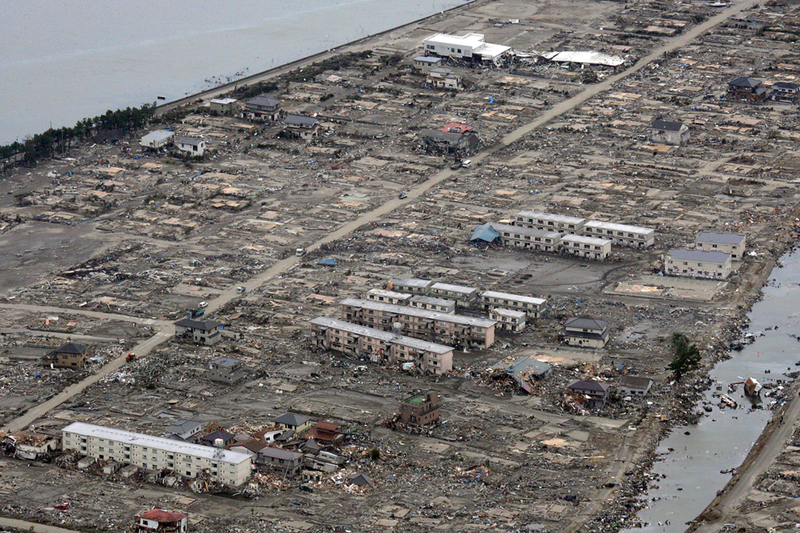 Everyone knew how bad it hit Japan when a large and destructive earthquake struck over night. 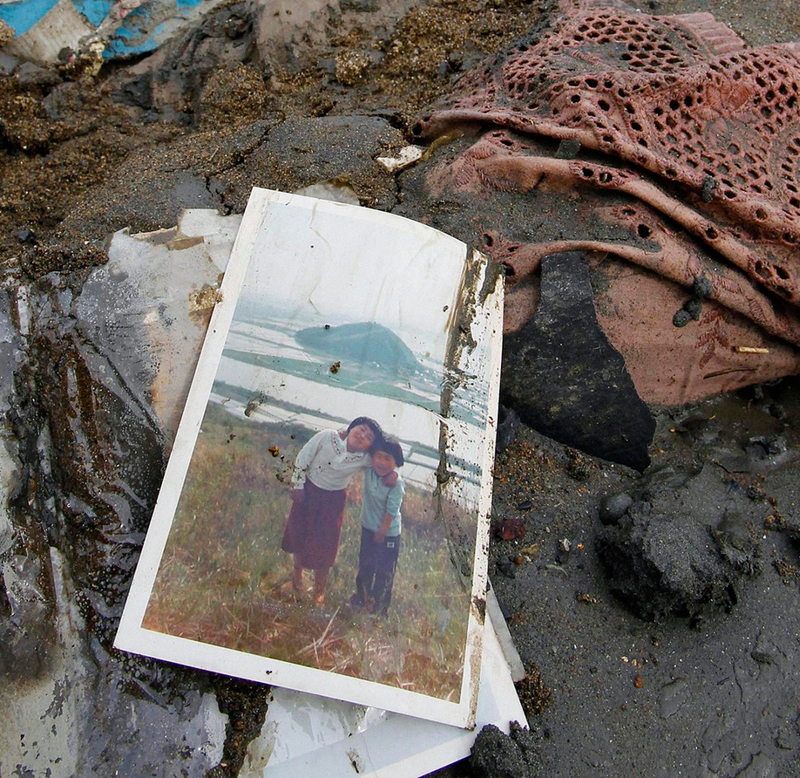 The magnitude 8.9 quake has generated a 30-foot tsunami that destroyed the whole town. These has became our daily highlight & discussion. 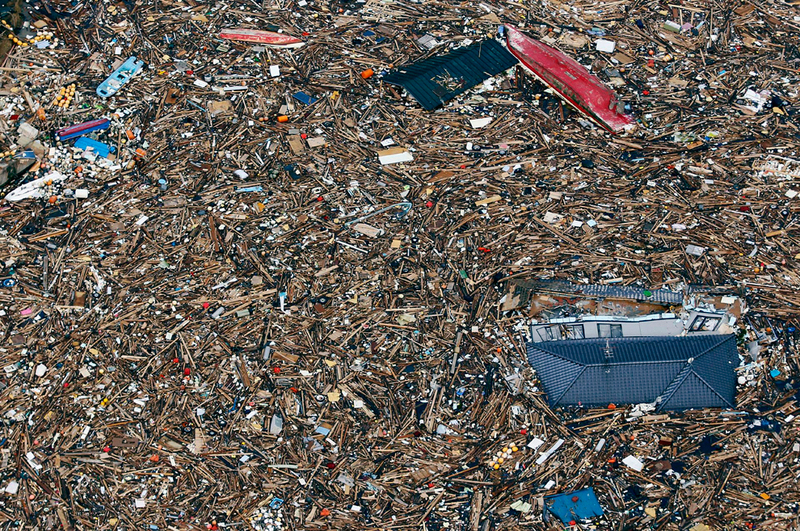 I couldn’t deny that this disaster has cause a great impact to the Japan. Now that the quake & tsunami has subside. Yet people are living in fear worrying about the exposed radiation(risk of developing cancer). Until today; there have been a total of four explosions at the plant since it was damaged in Friday’s massive quake and tsunami. Really pray there wouldn’t be anymore explosion and hope the government could come up with a solution soon. There were series of photos I got from boston.com about the vast devastation. I was holding back my tears while looking each and every piece of the photos. 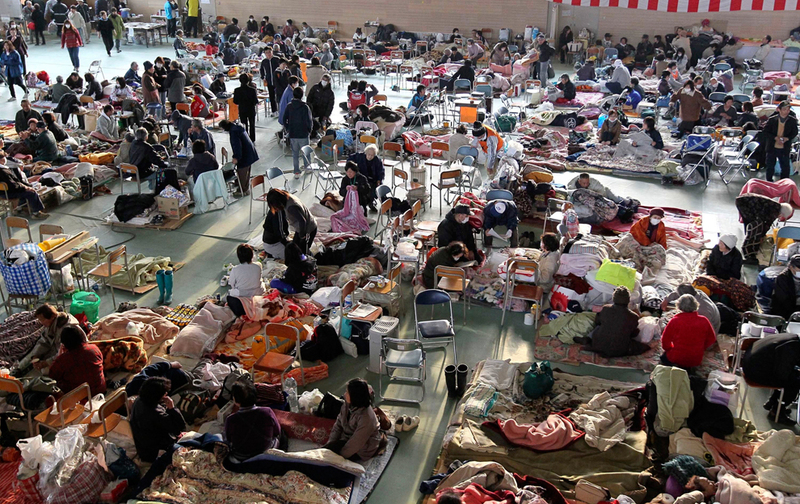 Survivors are placed at an evacuation center in Rikuzentakata. 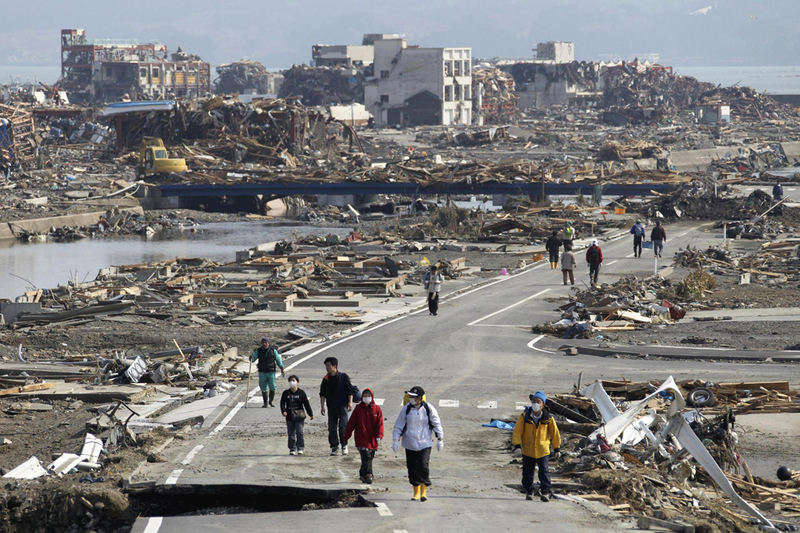 Walking along an empty road surrounded by damaged properties. How sad it could be. 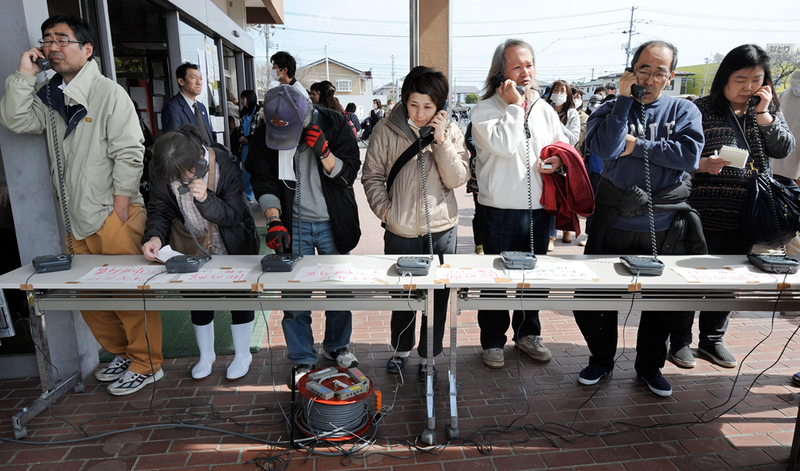 People waiting for their turn to make phone calls using the temporary phones set up for residents at the Natori City Hall in Natori. From this photo; I can see how discipline the Japanese are. 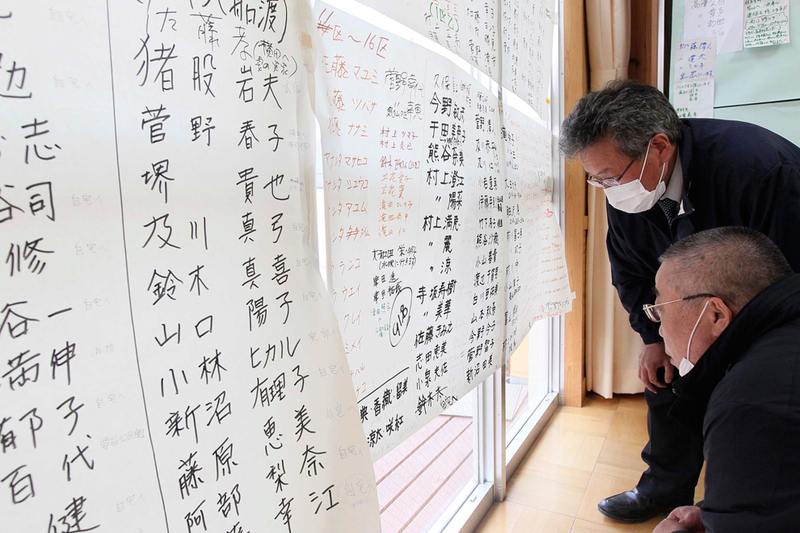 Survivors at evacuation center in Rikuzentakata checking through the list of people missing. 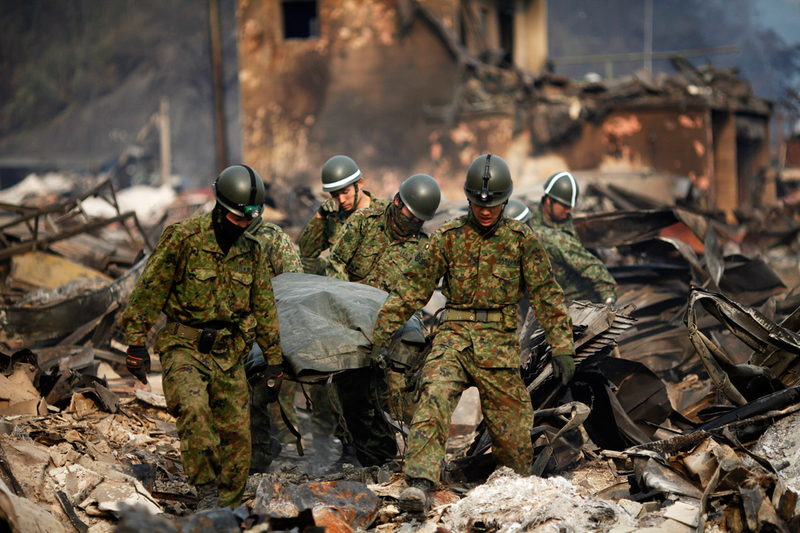 Japanese rescue workers carry the body of a tsunami victim in devastated town of Otsuchi March 14, 2011. 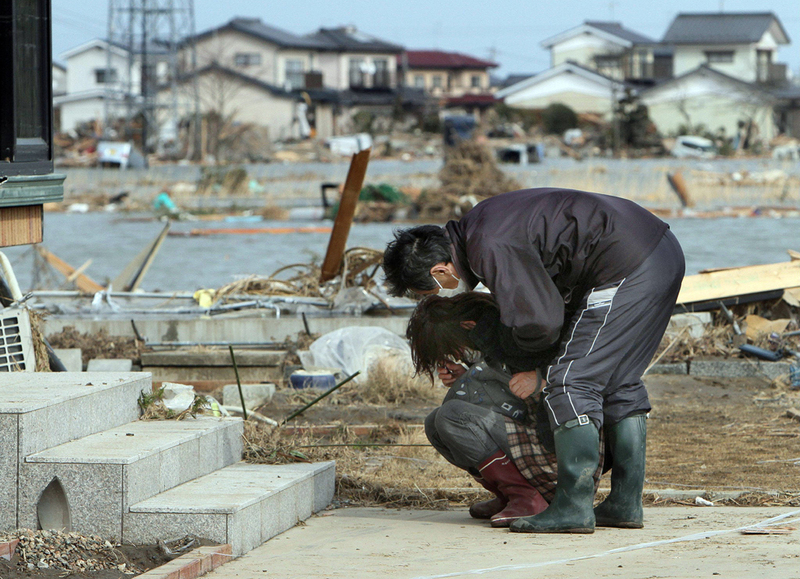 In the town of Otsuchi in Iwate prefecture, 12,000 out of a population of 15,000 are believed to have disappeared following Friday’s massive earthquake and tsunami. A photo remained in in Higashimatsushima City. 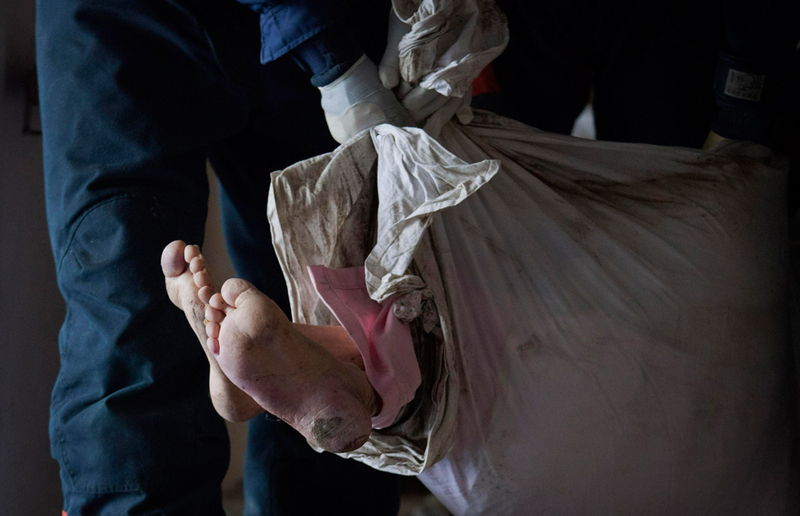 Rescue workers move the body of a patient through the halls of a hospital in Minamisanriku town. Before & After of Natori, Japan. 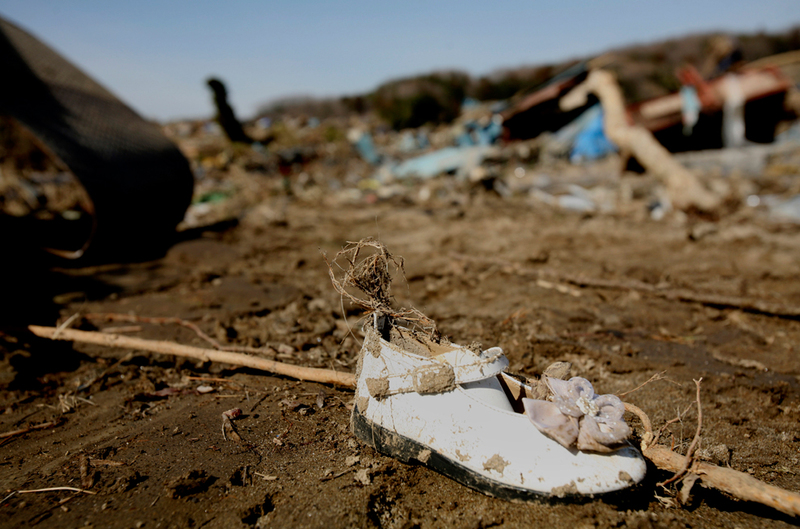 A girl’s shoe sits in flood debris, Fukushima, Japan. To people whom does not lend a hand on this, its better to remain silent and pray for the best. Rather than being ignorant by giving comments without thinking the consequences. Things like this is really sad, first was Christchurch then now Japan. Yea…indeed a sad thing. How many will there be every year?? This question is freaking me. I do hope there’s an end to it. 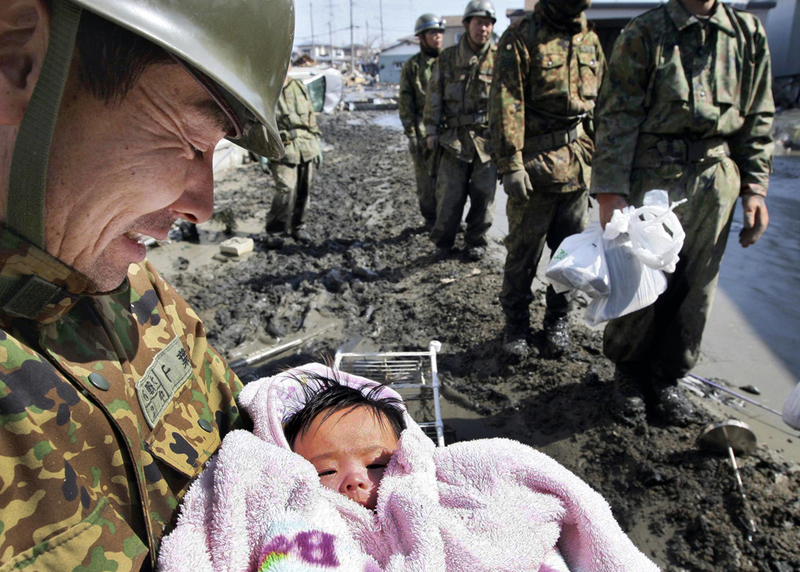 Lets pray for Japan! And help by donation! Now everyone fear of Japan early recession too, like history that repeats after Kobe earthquake. ” also that ugly plastic surgery women figure who comment Japan is too advance” God bless her stupidity!!! You know who I mean? cheryl- LMAO! Of course I do know who u meant.